There has been a lot of excitement about the release of our high-end processors / receivers, and the feedback from clients who have experienced the power of Auro-3D® has been incredibly positive. Lately, I’ve also had a lot of people asking me when Auro-3D® will be available in established receiver brands for home cinema consumers as well. Well, today, I’m pleased to confirm that Auro-3D® will be available as an upgrade for selected Denon and Marantz receivers, bringing immersive sound within the reach of many more people! Denon have announced that their AVR-X5200W and AVR-X4100W AV receivers will feature Auro-3D. 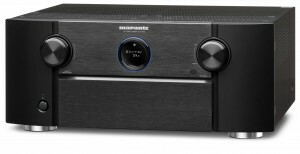 Marantz have also confirmed that their SR7009 and AV7702 receiver and pre-amp / processor will be upgradeable to Auro-3D. 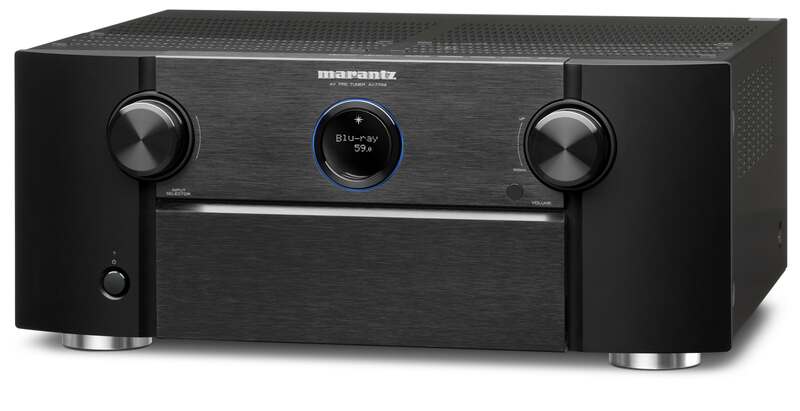 Denon and Marantz are great brands, providing high quality at accessible prices, and we are delighted to be featured in their ranges. We created Auro-3D® from the ground up to be scalable and flexible – from professional digital cinema to small living rooms – to deliver the consumer the same sound quality and immersive experience as the content creators did in their studio with High Resolution Audio in each channel. So we can guarantee that Denon and Marantz owners can get the real Auro-3D® experience at home. Auro-3D® stands for ​no compromise on your experience, whether with native 3D sound, or your existing music and film library. ​ The most immersive 3D sound, the simplest solution. No compromise. Auro-3D® uses the standard 5.1 / 7.1 horizontal speaker array as its base, then we add a Height layer directly above those corner speakers at around 30 degrees, just as we do in the cinema. As long as you have space directly above the speakers in your Surround sound setup you can easily install an Auro-3D® Height layer. In its simplest configuration (Auro 9.1) this means adding only four extra speakers, one above each corner speaker – no ceiling speakers needed. We do offer the ‘top layer’ with ceiling speakers as well, but only recommend this for larger home theatres / cinemas. So with an Auro-3D upgrade, and four Height speakers, you can enjoy the most natural, immersive sound experience, turning your favourite music and films from your collection into a completely new immersive sound experience. And even without the Height speakers, our Auro-Matic® algorithm will upmix stereo sources into an incredibly natural Surround sound experience for the home theatre. The upgrades will be available from December, and can be downloaded via the devices’ online feature upgrade function. More details will soon be available on the Denon and Marantz websites.